About Us | Central Sign Supplies, Inc. 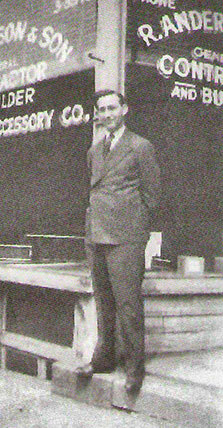 In 1951, a new legacy in the wholesale sign supply business began in the Heartland. Don Klatt, a hard working young man from What Cheer, Iowa, began the Central Sign tradition after a stint with Acme Neon in Detroit and running a branch office in Des Moines, Iowa. He began with an inventory of $19,822, and 3 employees. In 1978 Don passed the torch to his son Jim who kept the business going. In 2010, the sons of Jim Klatt took over the business and are still running it today. Throughout the years many things have changed, but Central Sign Supplies commitment to offer the best in wholesale sign supplies, coupled with the greatest customer service in the industry have never wavered. Central Sign Supplies, Inc. is family-owned and operated right here in Omaha, NE. Other companies may offer similar products, but our services are the best! They always got what i need good staff very helpful. I’ve placed several orders with you both for delivery and pick up and have been very impressed. The staff is very knowledgeable, especially when I was first starting to use vinyl and needed some information about the best one to use for my projects. You guys ROCK! I’m so glad I found you. I love being able to get my order the next day!